Brigitte Macron’s recent interview in French Elle topped the charts in readership – and for good reason. We’re endlessly fascinated with France’s new first lady: her new role in the Elysée Palace, her personal style, and the 25-year age gap between her and her husband. Much ado has been made about that latter point, partly because of an enduring double standard: No one bats an eye at an older man with a much younger woman. But an older woman with a younger man? Eyebrows are raised and curiosity sets in. The story of their meeting has been retold in the press countless times: Brigitte Macron was Emmanuel Macron’s drama teacher in high school in their own town of Amiens. He courted her – heavily – and they were married in 2007. The rest, as we say, is history. 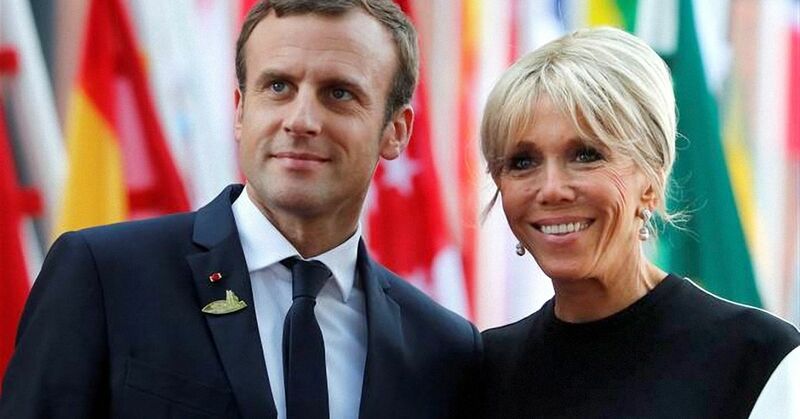 Macron assumes her seniority with trademark elegance and self-possession. "Emmanuel's only fault,” she said, “is that he is younger than me. When I read about us, I always get the impression that I'm reading someone else's story. Our story is so simple … If I hadn't chosen this, I would have missed out on my life." Macron reminds us that in France grown-ups, not kids, have all the fun. When it comes to the fascination that Macron cites, there’s nothing like a stylish, self-possessed older French woman to enthrall us all.